You are here: Home / Gluten-Free Recipes / Attention Celiacs! 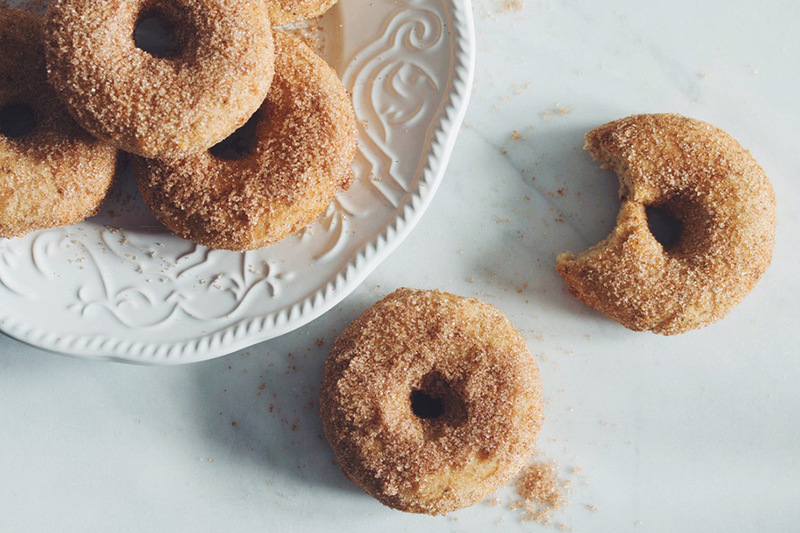 Check Out These Cinnamon Doughnuts! 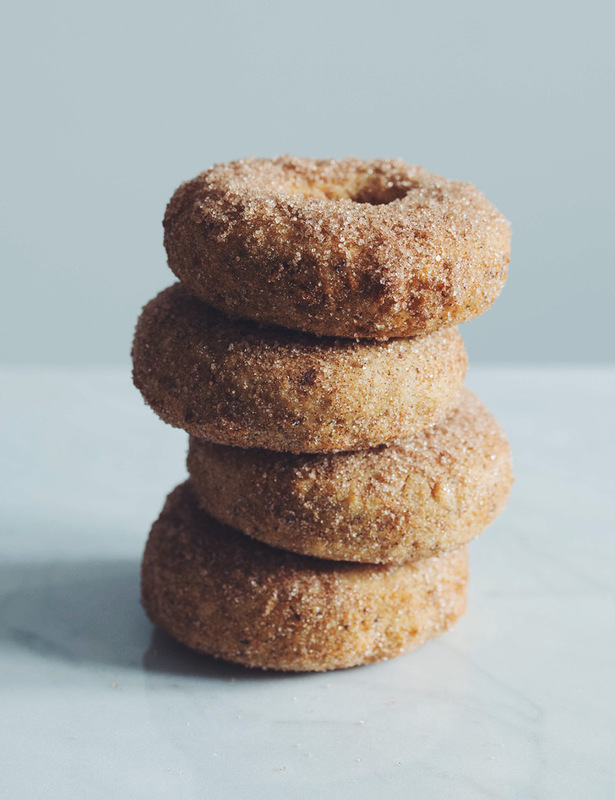 What better way to indulge than with these delectable vegan and gluten–free cinnamon sugar doughnuts. They’re obviously delicious any time of day, but this particular version is best enjoyed for breakfast, paired with a big ol’ cup of coffee. With thanks to the Food Network. Note: This recipe will only work with a flour blend that contains xanthan gum and baking powder. Look for Bob’s Red Mill Gluten Free Biscuit & Baking Mix at Lifestyle Markets in Victoria, BC. Most commercial grocers carry this line of products and have specific gluten-free sections. 1. In a small bowl mix together ground flax and water. Let sit for 15 minutes in the fridge to thicken. In another mixing bowl combine soy milk and apple cider vinegar, and allow to sit for 15 minutes. After letting these 2 components sit for 15 minutes, heat up vegetable oil in a pot to 375°F while you prepare the rest of the dough. 2. In a large mixing bowl add 2 cups of gluten-free flour mix (the other ¼ cup is for rolling out the dough) and mix with cinnamon until well combined. 3. Add 1/4 cup of vegetable oil, vanilla extract, sugar and flax mixture to the bowl with soy milk and apple cider vinegar, and whisk together until well combined. 4. Fold the wet ingredients into the dry ingredients until it just comes together into a sticky ball of dough. 5. On a clean, dry surface spread out 1/4 cup of the flour and place the dough from the bowl onto the floured surface. Knead the dough into a little bit of flour while ensuring you keep the surface floured to prevent the dough from sticking. It will become a little less sticky to handle as you incorporate a bit more of this flour into it. Pat the dough down with your hand until it’s 1/2” thick. 6. Cut 3 1/2” circles from this dough, making sure to lightly coat the cookie cutter with excess flour on the counter. Bring the excess dough together in a ball again, ensure you’ve spread out a bit more of the excess flour across your surface/counter and flatten the dough again to 1/2” thick. Continue to cut out circles. After this second round of cutting out circles you should be left with just enough dough to make 1-2 more doughnuts with your hands. 7. To make the centre hole you can lightly coat the thicker end of a chopstick with a bit of excess flour. Then stick it through the middle of the circles and roll it around a little to create a small 1/4” hole. 8. Combine sugar and cinnamon for the coating in a shallow dish and have it near your frying oil. You’re going to sprinkle the doughnuts right out of the fryer. 9. Ensure your oil has reached a temperature of 375°F and place 2 doughnuts in the hot oil. After about 1-1 1/2 minutes they should be floating at the surface. Using a slotted frying spoon, gently flip them. Let them fry for another 2-2 1/2 minutes until golden. 10. Lift them out with the slotted frying spoon allowing excess oil to drip onto paper towel. You can let them sit for a few seconds but you want to get them coated with cinnamon sugar almost immediately while they’re still hot. Roll the doughnuts around in the cinnamon sugar until evenly coated and place them on a separate clean plate. Continue this process until all the doughnuts are fried. It’s best to eat these immediately while they’re still warm!